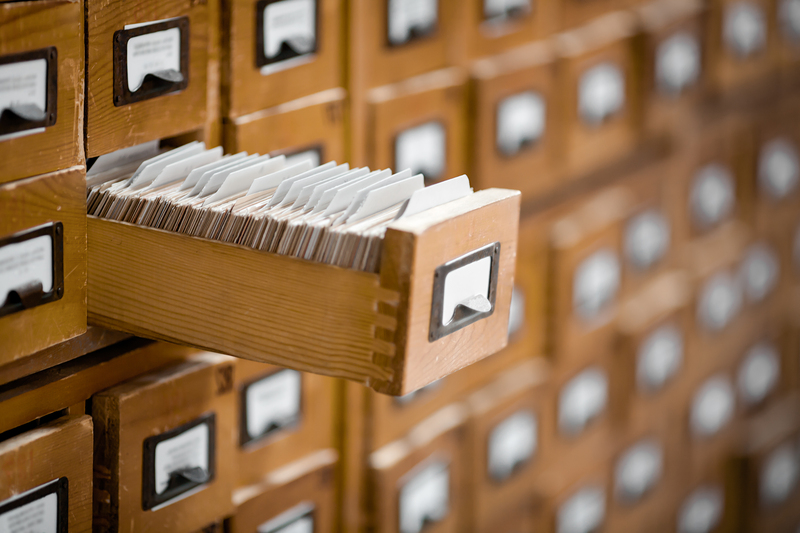 Library or archive reference card catalog. Database, knowledge base concept. Published 17/10/2016 at 3000 × 2000 in Library or archive reference card catalog. Database, knowledge base concept. Old library or archive reference catalogue with one opened card drawer. Database and knowledge catalogue concept.